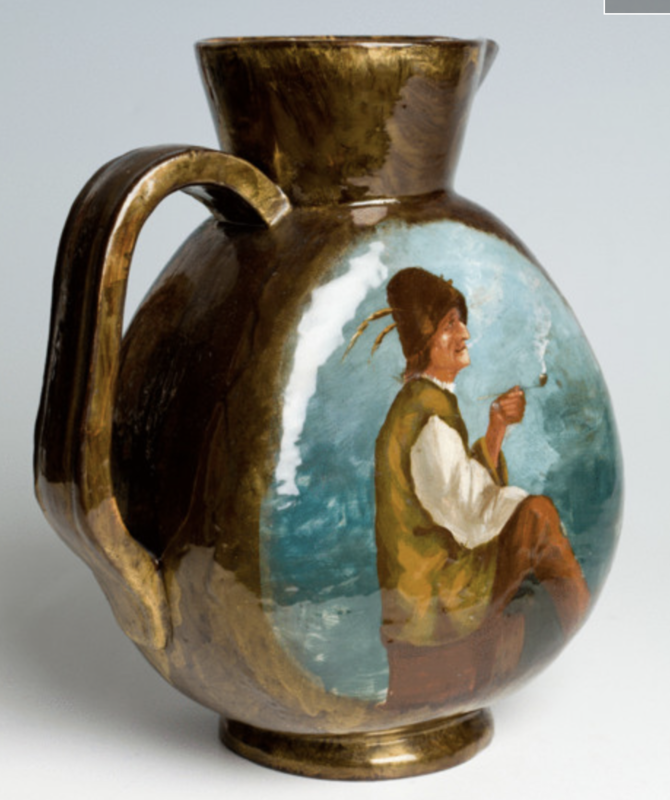 A ceramic pitcher with a beautiful gold glaze and a picture of a man smoking his pipe made by Galle around 1890. Galle stopped making ceramics after this period, he focused on glass from then on. This is supposedly one of the last items of his ceramic work. The signature is in the mould and notice the shape of the pitcher itself in the signature.